Robyn has been in real estate for over 22 years. Starting in sales and then moving into residential property management. Over this period Robyn has developed a passion for raising the standard of professionalism in property management. 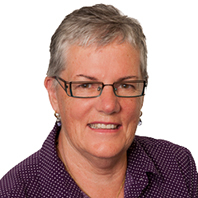 Robyn spent 8 years on the REIWA Property Management Network Committee, during that time was the chairperson for 3 years. The recipient of the REIWA Excellence Award for property management in 2004, Robyn believes in giving back to the industry and as a result of her beliefs she has been a trainer at REIWA for over 15 years. Robyn is a licensee running her own residential property management company.